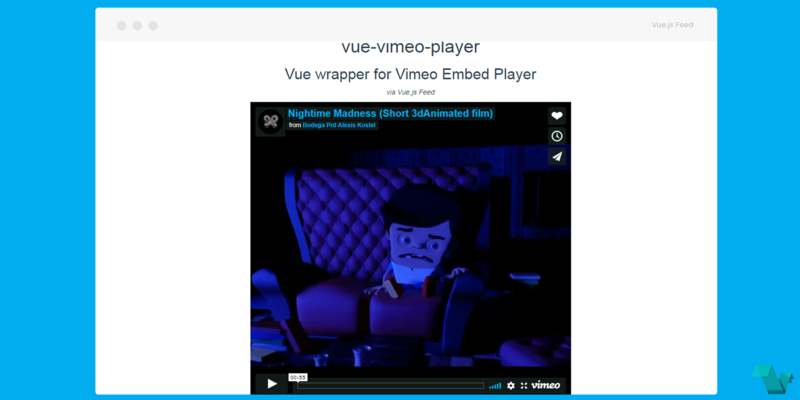 The Vue-vimeo-player is a Vue.js wrapper for the Vimeo Embed Player, which allows you to use the Vimeo player as a Vue component with ease, even with Nuxt.js SSR. To start working with the Vue vimeo player use the following command to install it. For usage with Nuxt.js please refer here. Created and submitted by @dmhristov.